The Centers for Medicare & Medicaid Services (CMS) has proposed a series of changes in the second year of the Quality Payment Program (QPP) that attempts to address some of the complaints from physicians that the original rules make participation in QPP difficult. As a reminder, the Medicare Access and CHIP Reauthorization Act of 2015 created the QPP with two payment tracks: the Merit-based Incentive Payment System (MIPS) and Alternative Payment Models (APMs). Offering a Virtual Groups participation option. 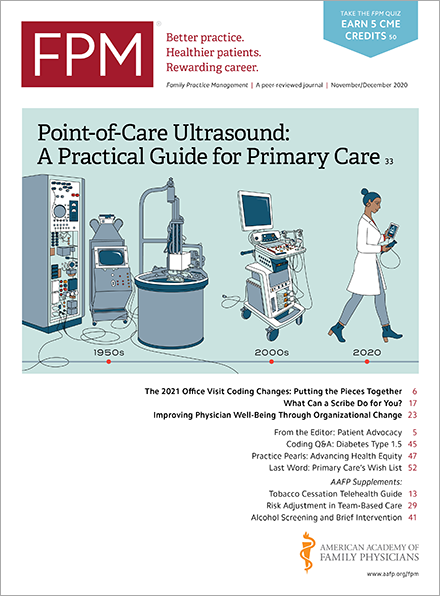 Increasing the low-volume threshold so that more small practices and eligible clinicians in rural and Health Professional Shortage Areas are exempt from MIPS participation. Allowing physicians to continue using 2014 Edition Certified Electronic Health Record Technology (CEHRT). Awarding bonus points in the scoring methodology to physicians who care for complex patients and only use 2015 Edition CEHRT. Extending for two performance years (to 2020) the revenue-based nominal amount standard, which CMS previously finalized through performance year 2018. This standard would allow an APM to qualify as an Advanced APM under the financial risk criterion if the group’s physicians bore total risk of at least 8 percent of their Medicare Parts A and B revenue. Altering the nominal amount standard for Medical Home Models so that the minimum required amount of total risk increases more slowly. Both the full rule(www.federalregister.gov) and an abbreviated fact sheet(qpp.cms.gov) are available. CMS is accepting comments on its proposals through Aug. 21.